Genuine Dyson turbine head tool for Dyson DC08 Telescope, DC19 & DC20 model vacuum cleaners. Thi..
Genuine replacement Contact Head floor tool for your Dyson DC20 vacuum cleaner. Suitable for: Dys.. This is a genuine Dyson crevice tool for your vacuum cleaner. A crevice tool is good for getting int.. This is a genuine Dyson replacement stair tool complete with velour strips for hair pick up. .. 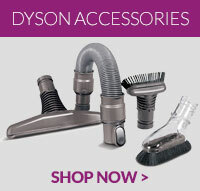 This is a genuine Dyson vacuum cleaner dusting brush tool with soft bristles that make it perfect..